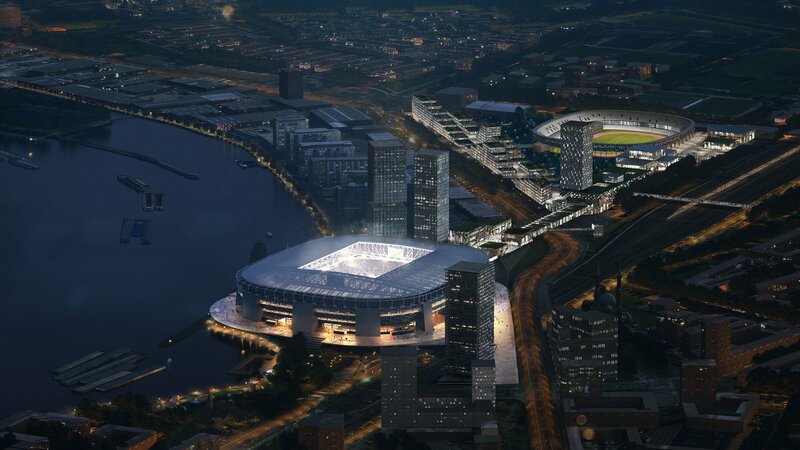 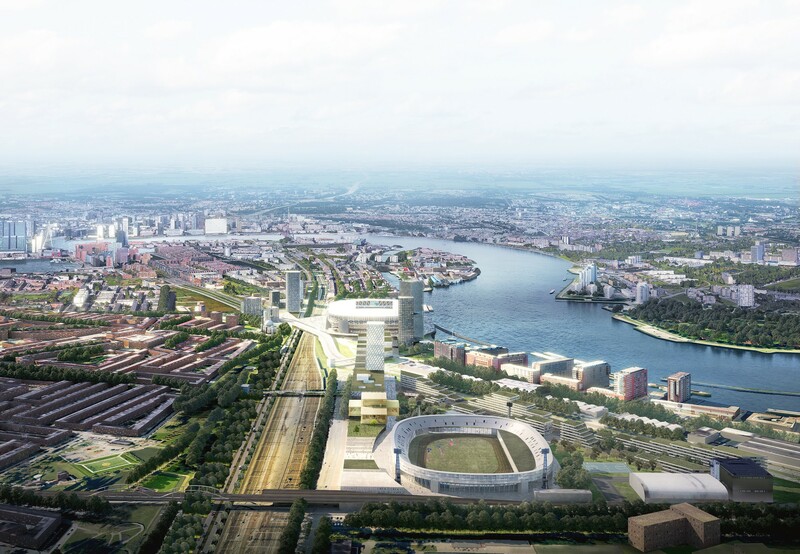 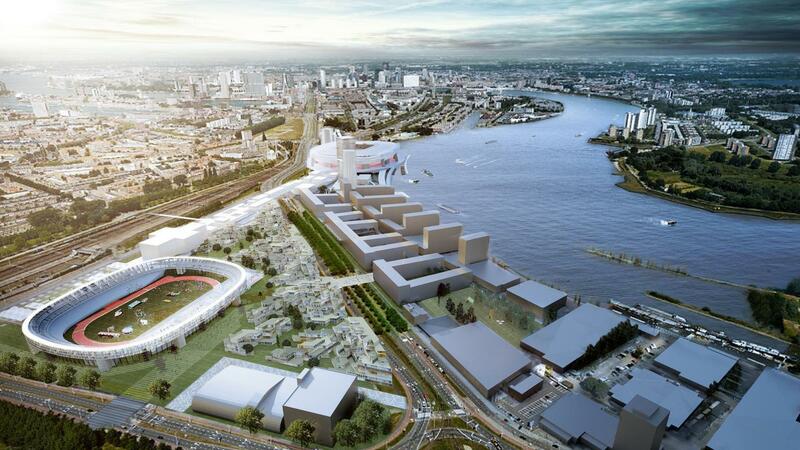 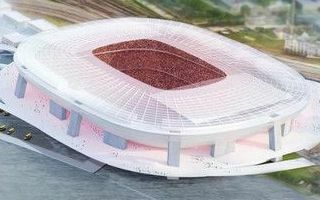 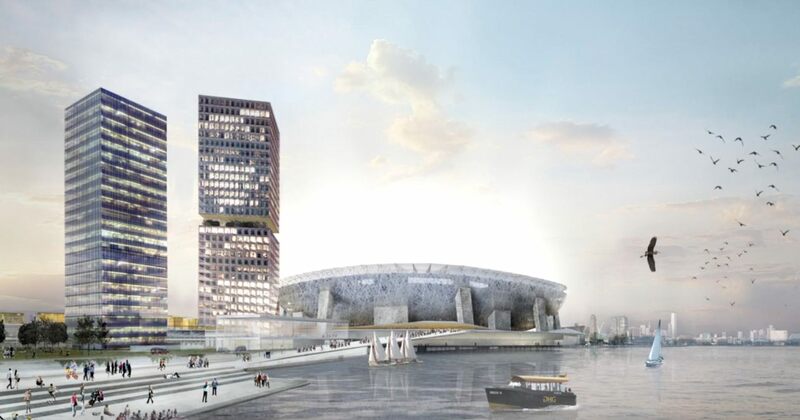 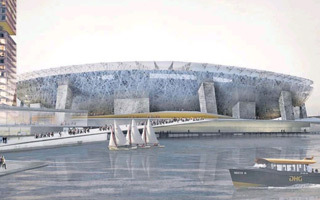 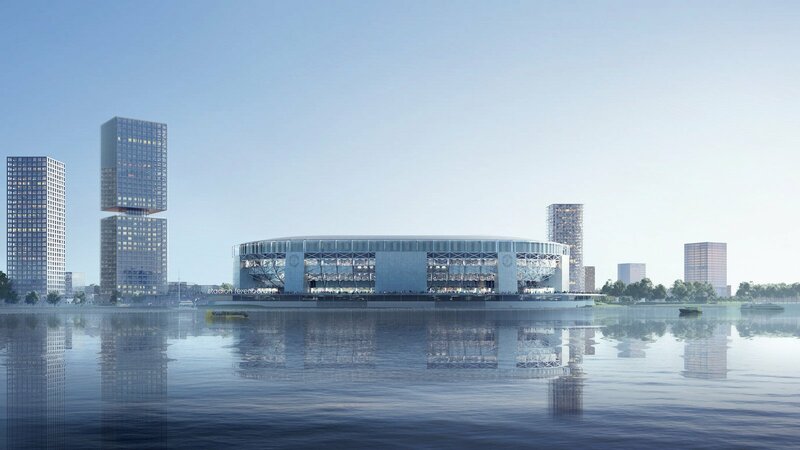 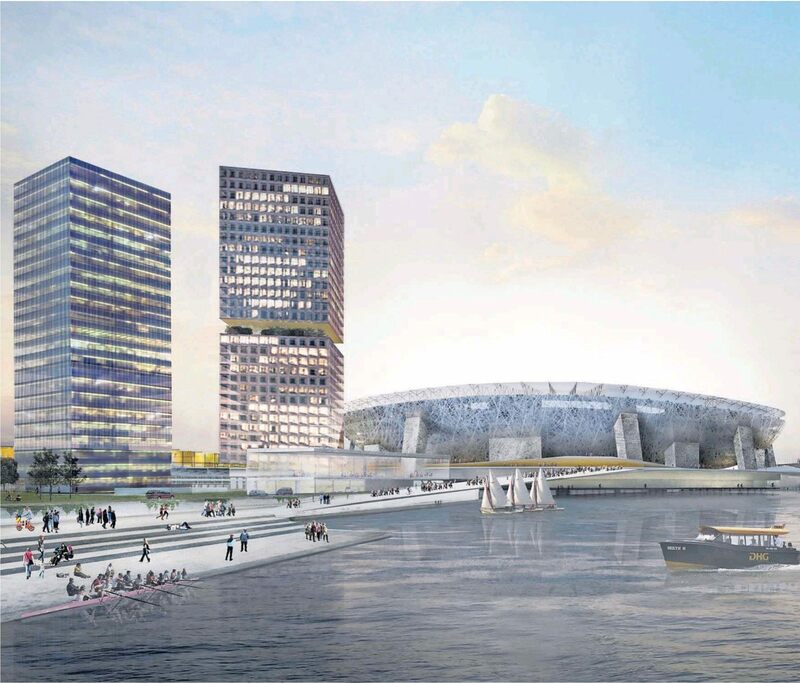 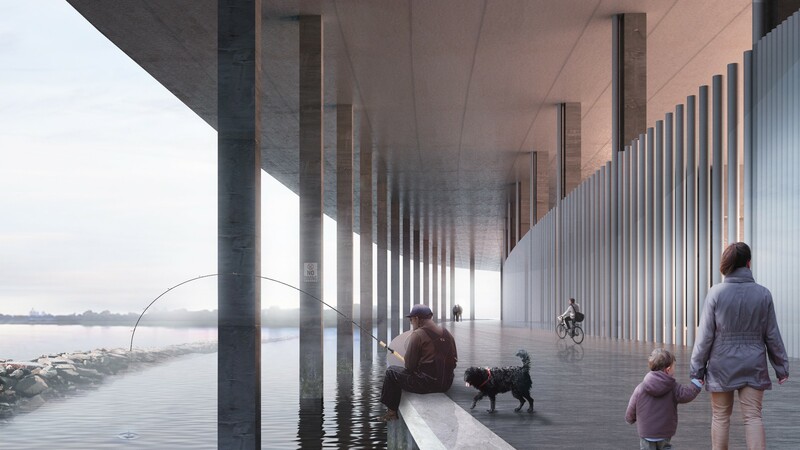 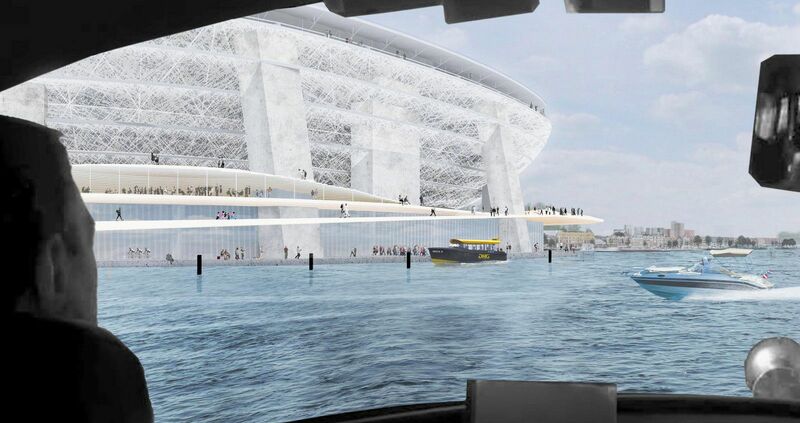 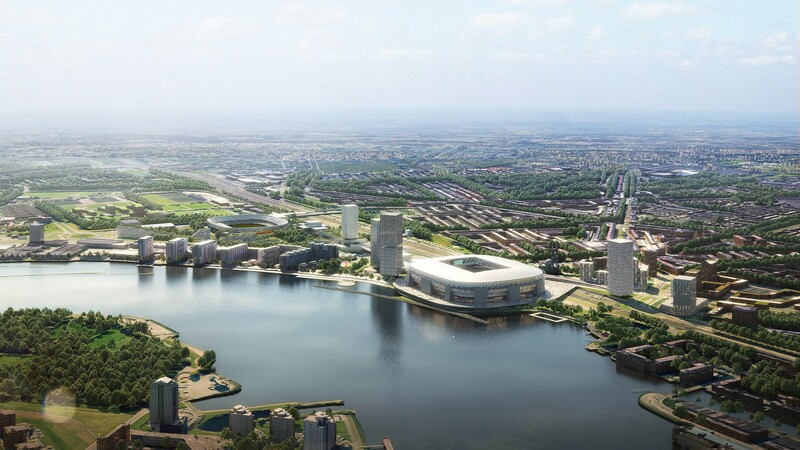 Just as selected in March 2016, new Feyenoord stadium is expected to be built at Nieuwe Maas, partly on water. 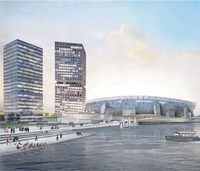 It would become the heart of Feyenoord City, a major revitalization project for this entire part of Rotterdam’s riverside. 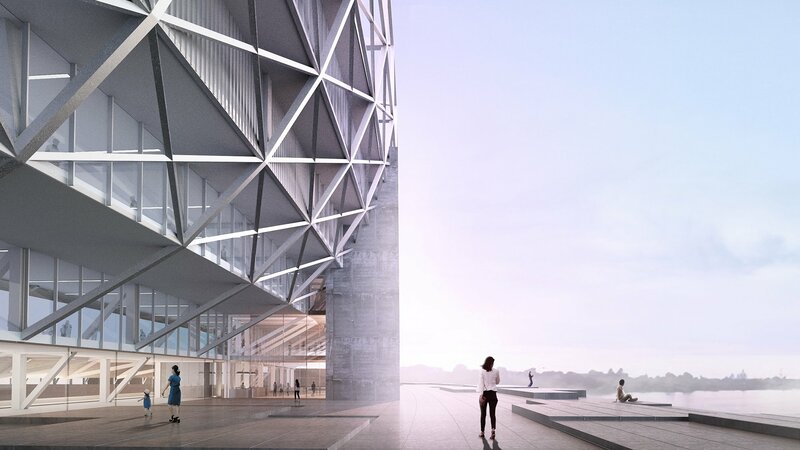 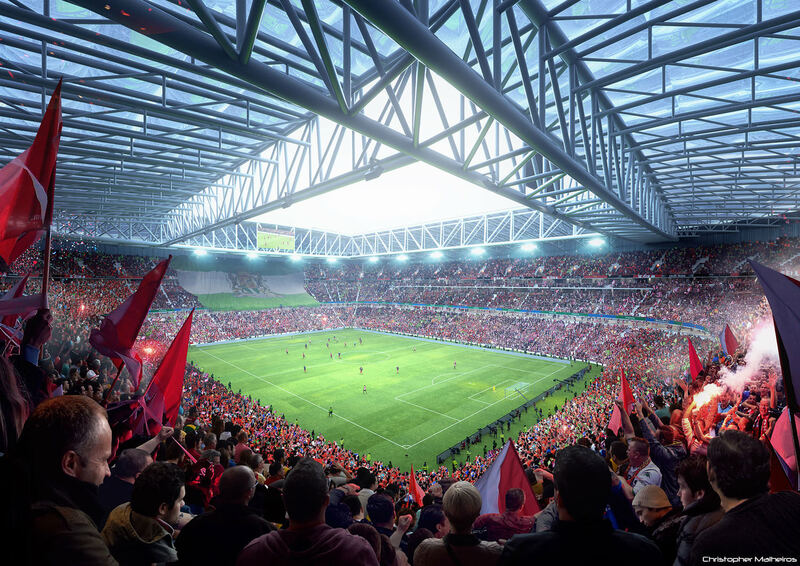 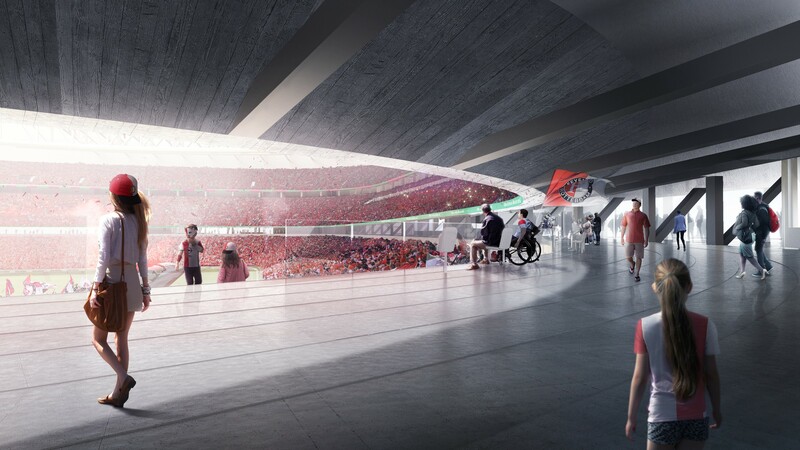 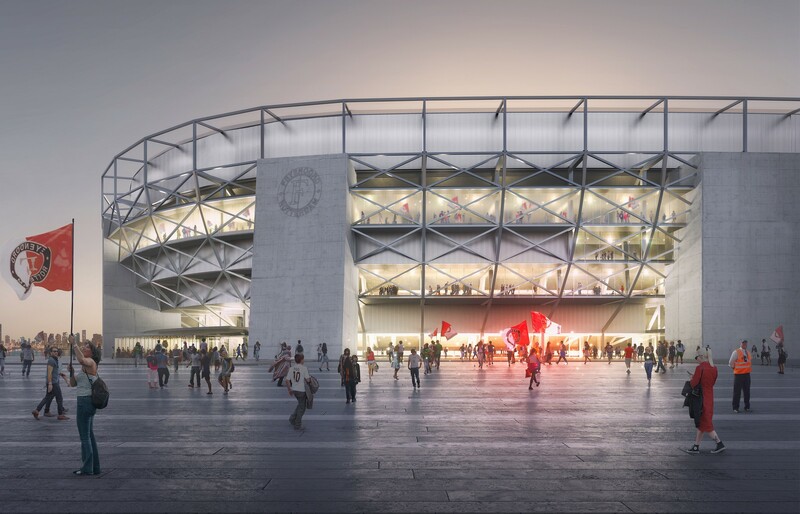 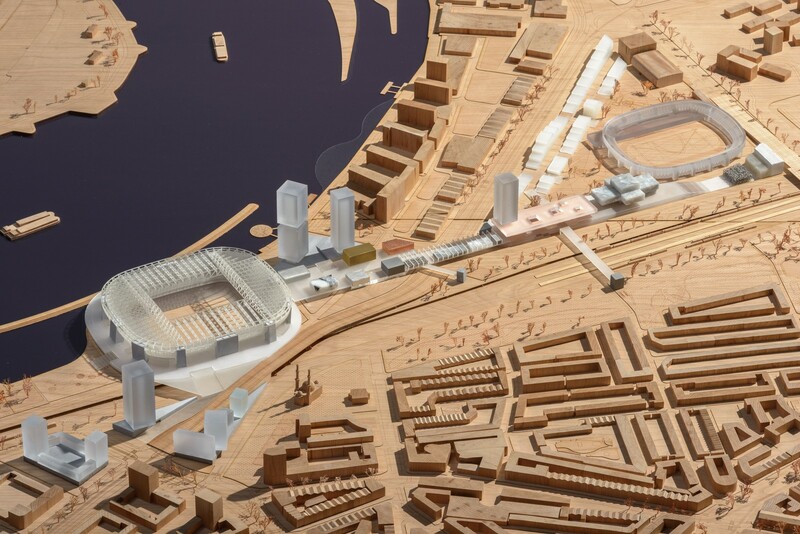 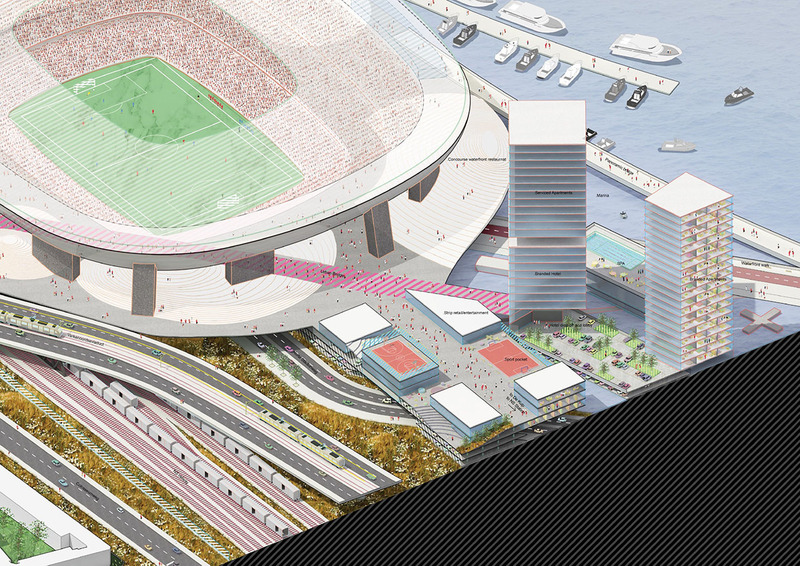 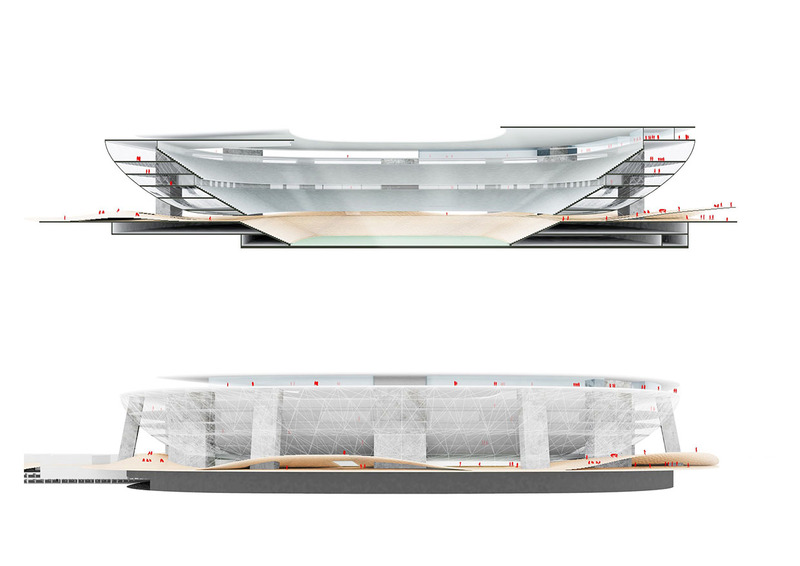 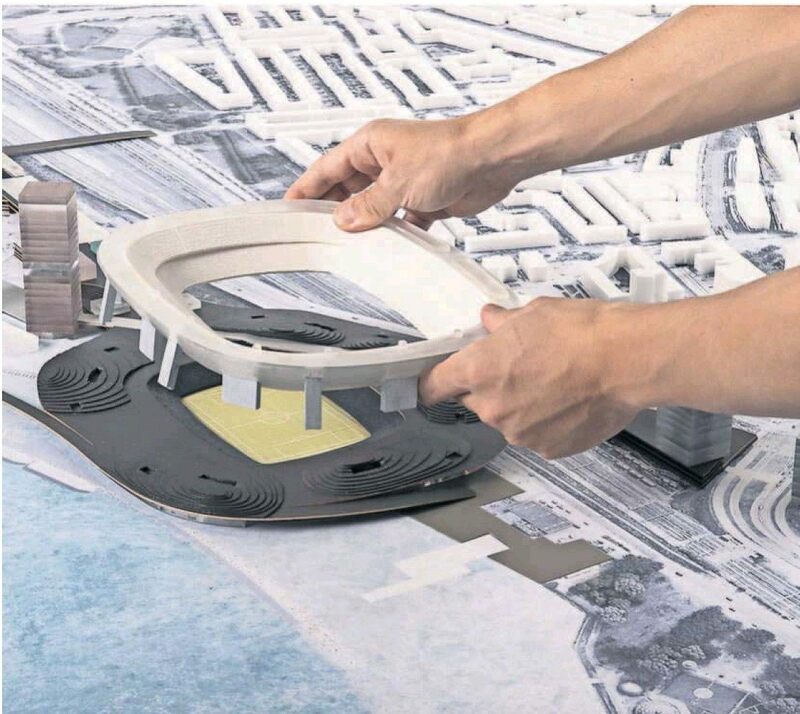 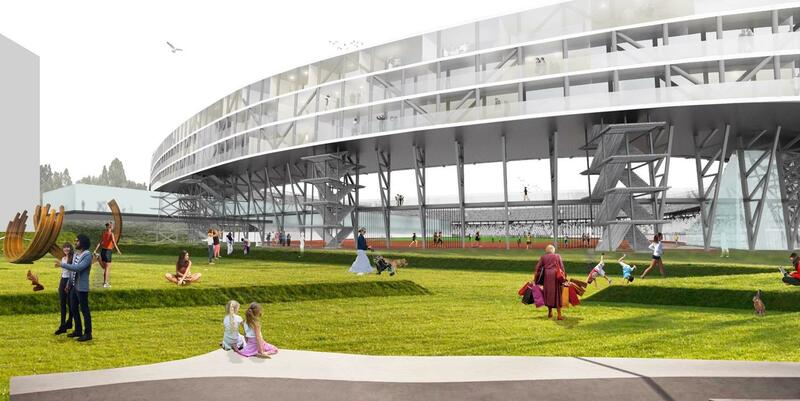 Placed on a tall platform, the stadium would rise significantly above existing buildings. 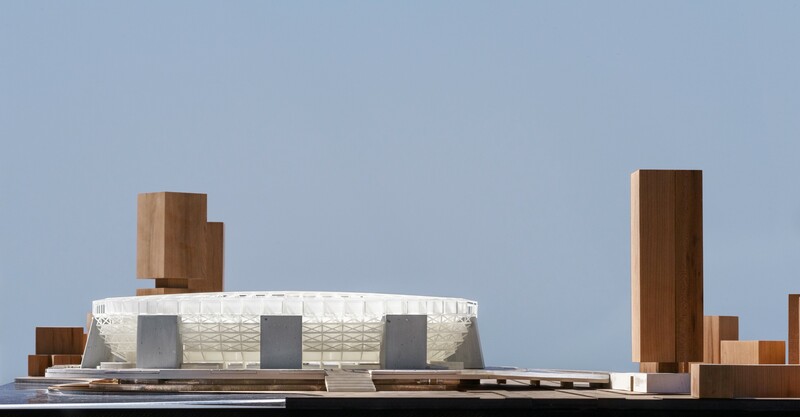 And even if outgrown by high-rise offices nearby, it would dominate the area volume-wise, becoming a new landmark visible from all important parts of the city. 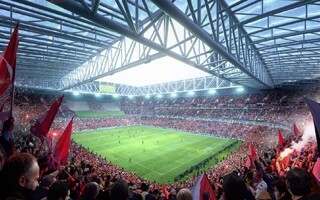 The stands would accommodate 63,000 people, as suggested to by ticket demand of Feyenoord, able to sell out such size on more than a few occasions every season. 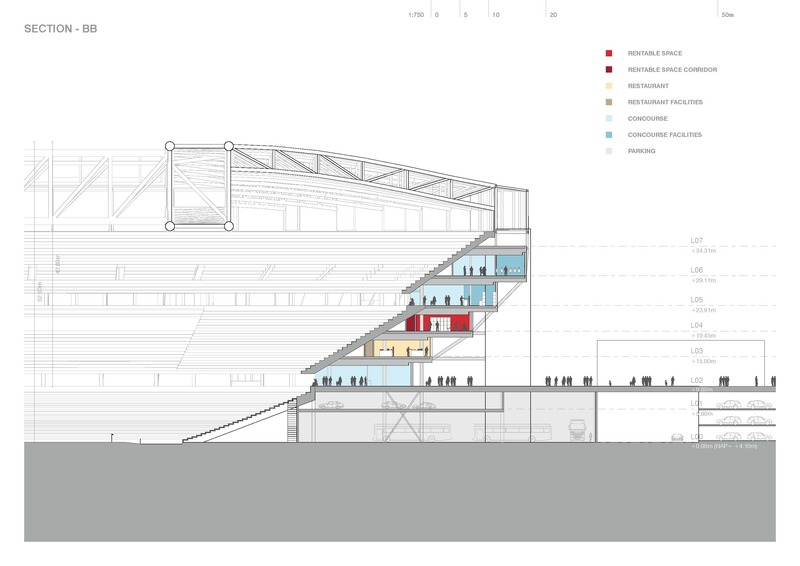 To optimize the cost, the three tiers would be kept rather simple structurally. 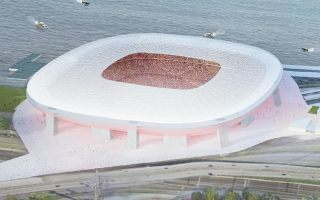 Even with retractable roof included, the stadium would not be sound-proof for concerts, somehow limiting its versatility but also economizing the project. 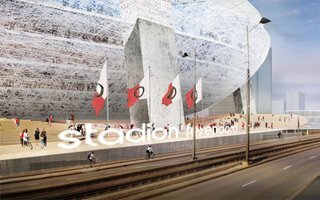 One of the key points is making the stadium ramp available for pedestrians and cyclists as a week-long leisure destination. 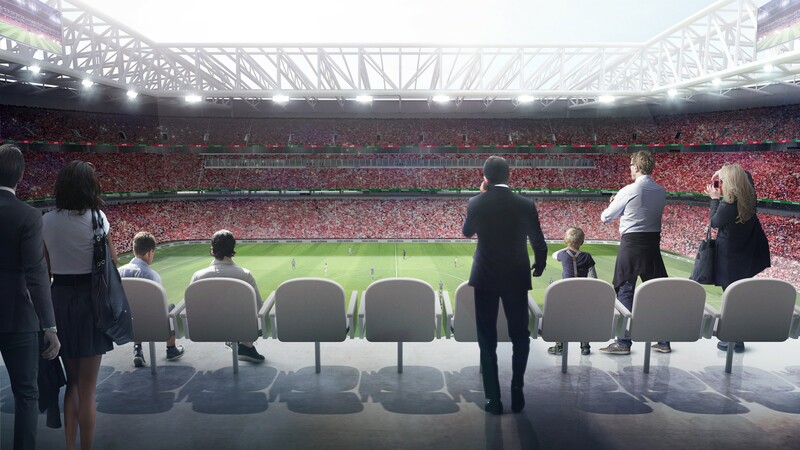 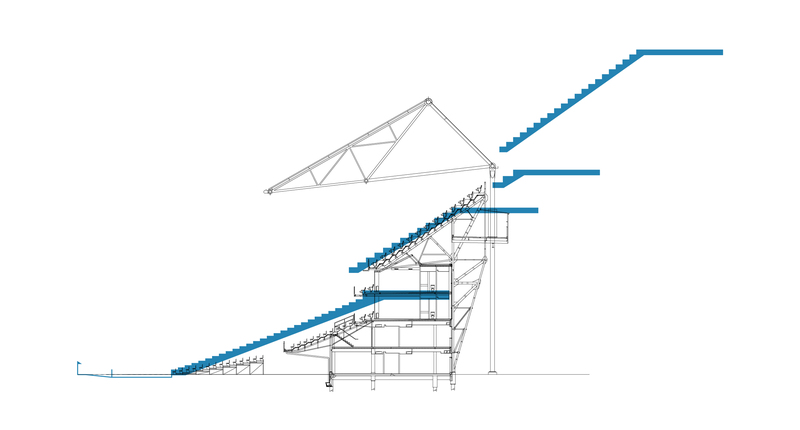 Any fences are to be limited to absolute minimum, while the uppermost third tier of seating would be topped by a viewing deck and restaurant available on non-matchdays. 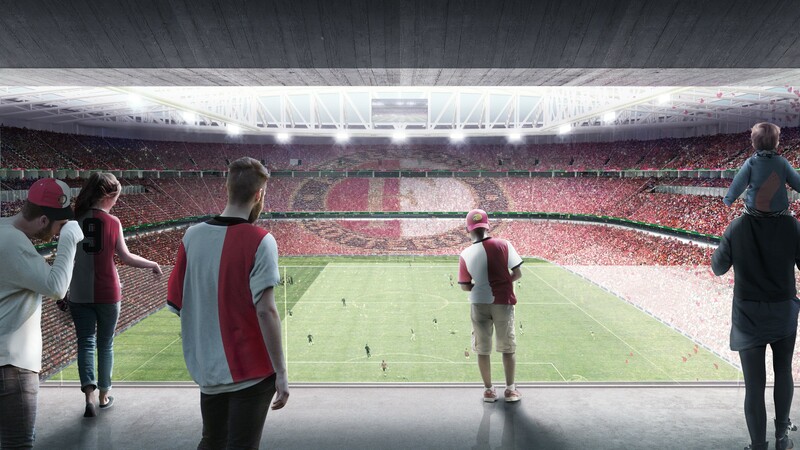 Old De Kuip would be retained as a listed monument, but reconstructed for new use. 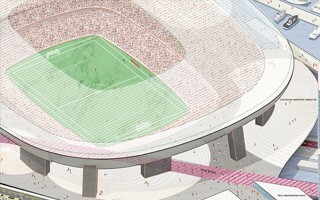 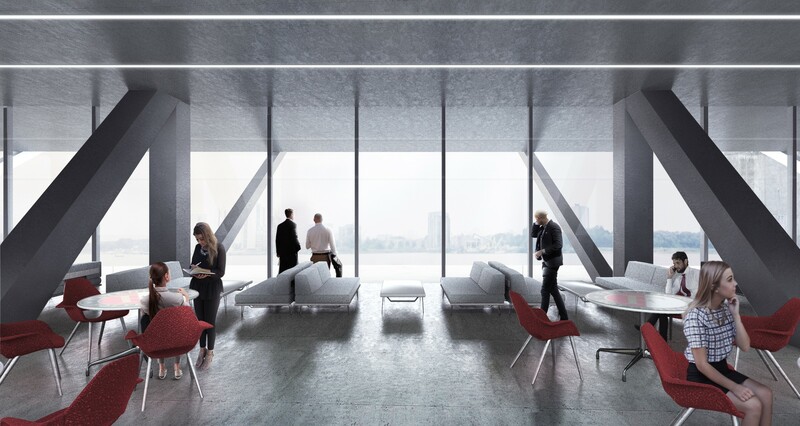 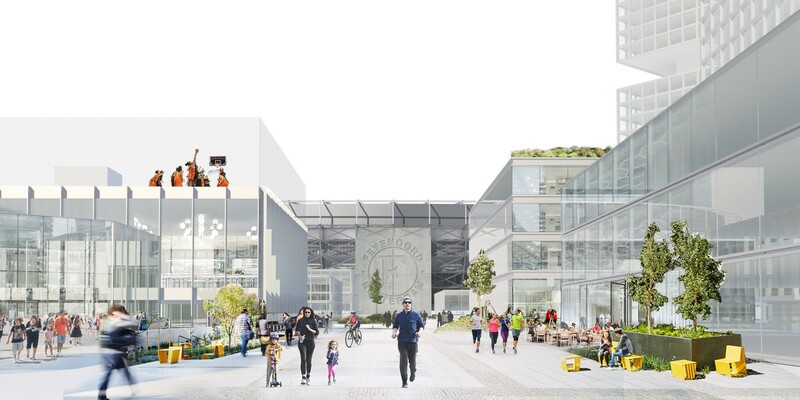 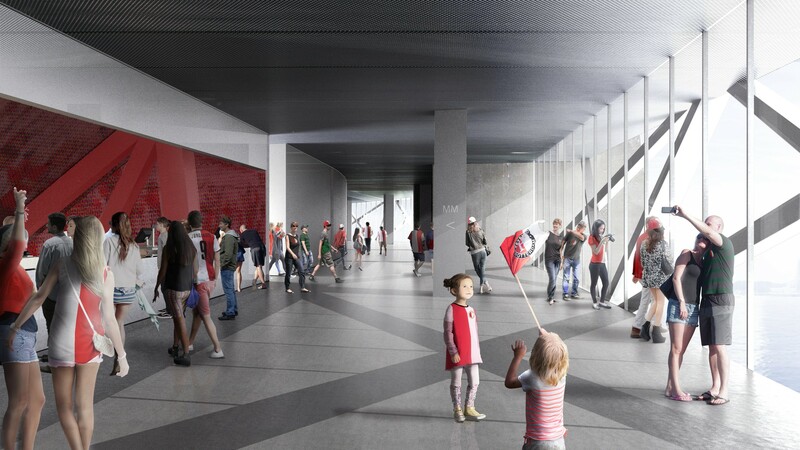 The field would get a running track and – along with old lower tier – serve as a leisure space. 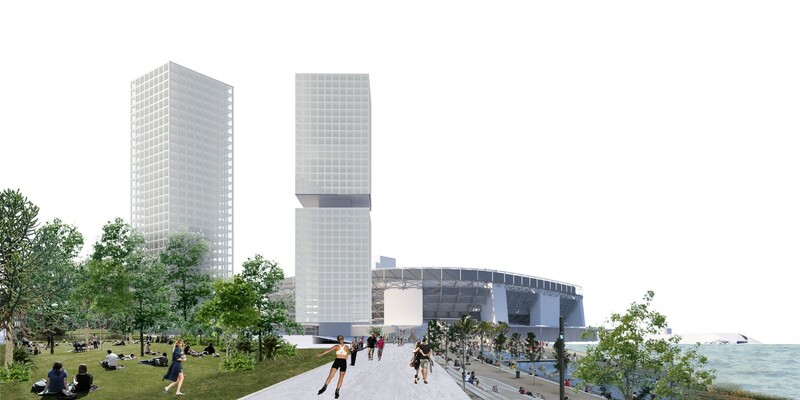 Instead of the upper deck and roof a panoramic strip of apartments would be constructed. 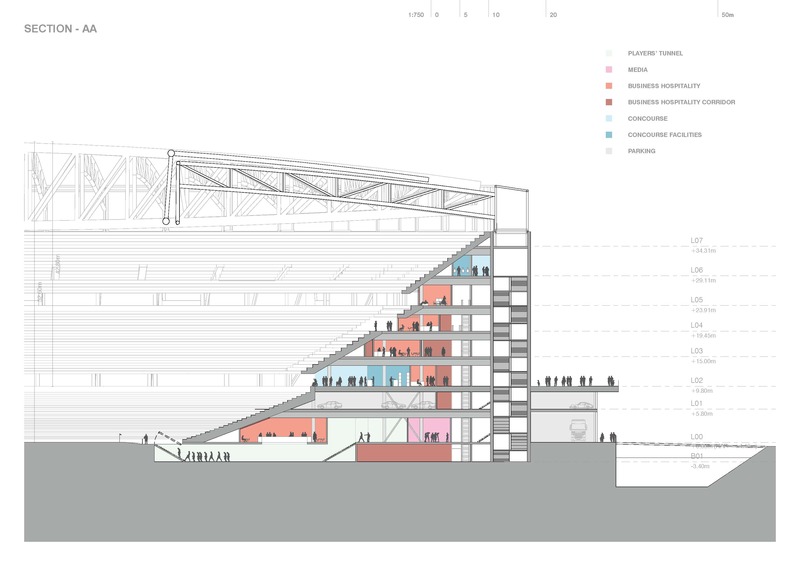 At the same time De Kuip would still serve as a museum and… brewery. 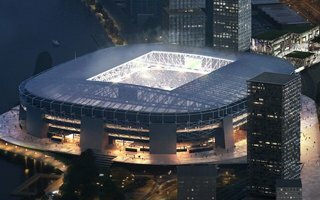 Construction might begin in 2018 and end around 2022-2023. 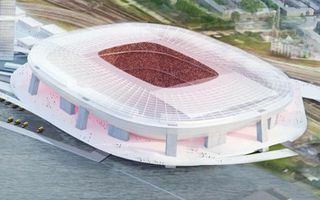 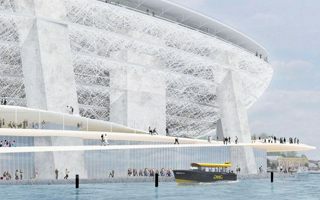 Cost is estimated at €400-500m but, just like the renderings, it’s expected to change noticeably when final documentation is ready.